Vacation Barefoot Travel Blog: Could you handle a 139 day cruise? Could you handle a 139 day cruise? Regent Seven Seas Cruises is offering a cruise that last 139 days! The question is...could YOU handle a cruise that lasted that long? This $78,999 and up cruise starts off in Auckland and concludes 139 days later in Copenhagen. 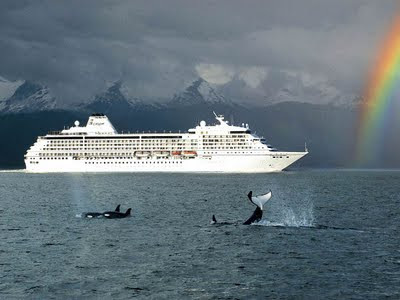 Check it out for yourself at: http://www.rssc.com/cruises. My vote? Nope, I'm sure it's a lovely cruise but that's just WAY too long for this hyper guy to be stuck on a cruise ship.